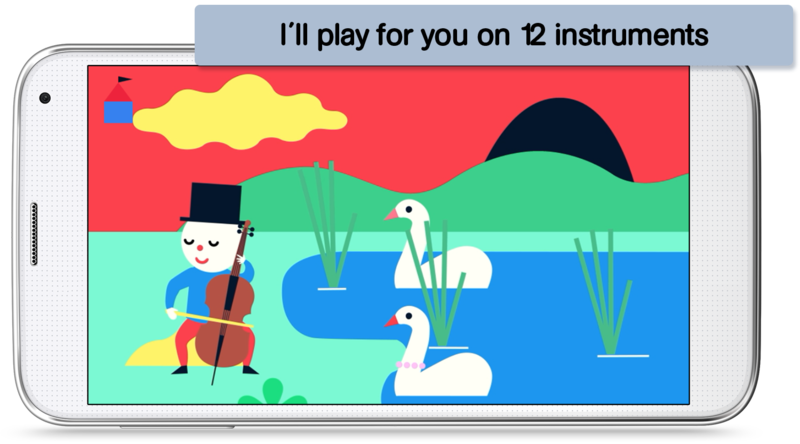 Tongo Music is a fun, engaging educational app about music - for kids and the whole family. No ads, and no in-app purchases. > Musical instruments - piano, violin, cello, double bass, flute, clarinet, trumpet and guitar - presented in child-friendly animation and sound. 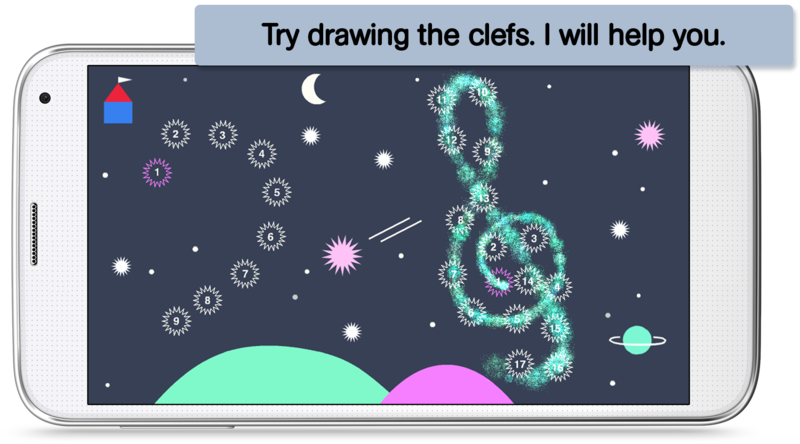 > Music symbols - notes, clefs, pause and note values are explained playfully, and with short exercises. 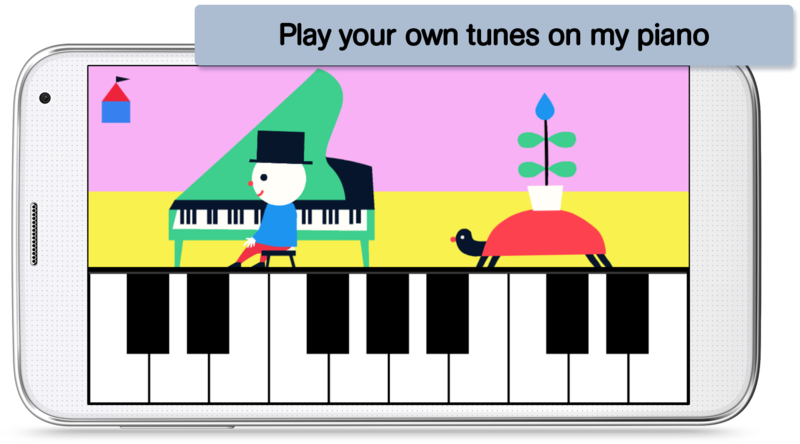 > Piano - known pieces in extracts supplemented by an interactive piano keyboard for users to play their own tunes. 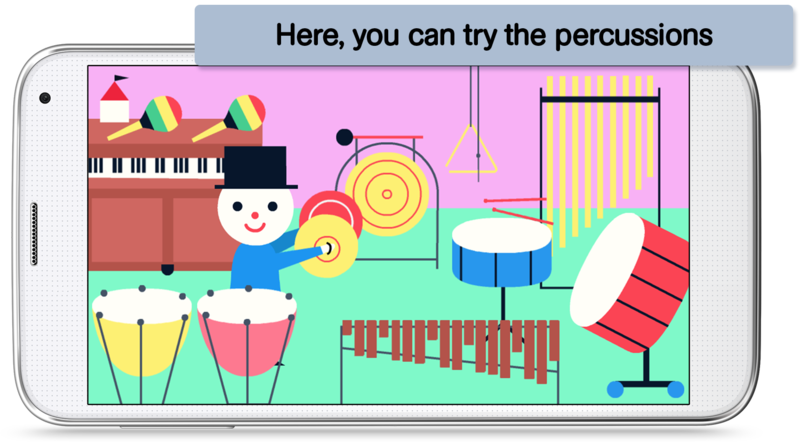 > Percussion - timpani, drum, xylophone, triangle - for kids to play their own rhythms. 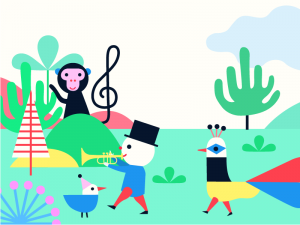 The app for kids - Tongo Music works solely with imagery and music samples, and is designed for children aged from 2 - 8. 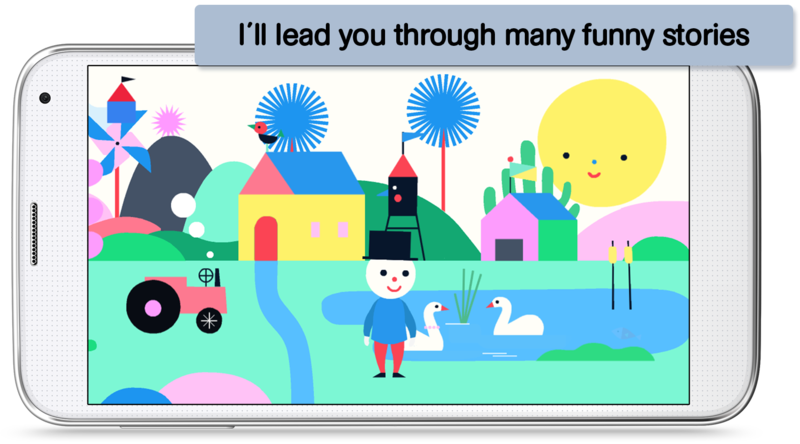 The app is designed entirely without text, so it’s easily accessible to children of all ages, whether they can read or not. We will be offering more material for free in the future. Please subscribe to our newsletter if you want to receive information about future updates. 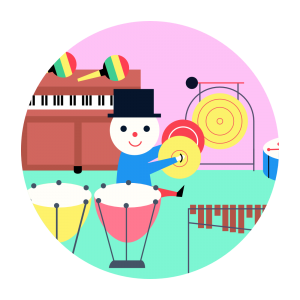 In the app Tongo Music, children will discover excerpts of famous works by the following composers: Wolfgang Amadeus Mozart, Ludwig van Beethoven, Franz Schubert, Robert Schumann, Johann Sebastian Bach, Joseph Haydn, Franz Liszt, Frédéric Chopin, Antonin Dvorak, Tchaikovsky, Marc -Antoine Charpentier, Luigi Boccherini, Camille Saint-Saëns, Nikolai A. Rimsky-Korsakov and Francisco de Tárrega. All music recordings used in the app are licensed courtesy of Deutsche Grammophon. With bright colors and friendly shapes Amsterdam based Illustrator Sue Doeksen has created the character ‘Tongo’ and his wonderful world. From the early stages in her career her work has covered different types of techniques from physical, digital, pencil-drawn, paper-cut, and animated. Her unique trademark is playful compositions with bold, simple friendly shapes. © 2014 Copyright. Proudly powered by WordPress.